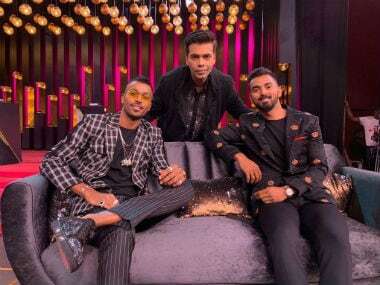 Edulji had initially suggested a two-match suspension for Hardik Pandya and KL Rahul but referred the matter to the legal cell after CoA chief Vinod Rai agreed with her and recommended the same. New Delhi: Committee of Administrators (CoA) member Diana Edulji on Friday recommended "suspension till further action" against India players Hardik Pandya and KL Rahul after the BCCI legal team refused to declare their outrage-evoking comments on women a violation of the code of conduct. Edulji had initially suggested a two-match suspension for the duo but referred the matter to the legal cell after CoA chief Vinod Rai agreed with her and recommended the same. "It is imperative that players be put under suspension till further course of action is decided for this misconduct as was done in case of (BCCI) CEO (Rahul Johri) when he was sent on leave on sexual harassment matter," read Edulji's response to the legal opinion which is in possession of PTI. "Based on legal opinion and final procedure is laid down to address this issue, will recommend that a communication is sent to concerned players and team immediately," Edulji wrote in response to recommendations from the Board's legal firm Cyril Amarchand Mangaldas. The legal firm made it clear that the cringe-worthy comments made by Pandya do not fall under the Code of Conduct ambit. The copy of the legal opinion, in possession of PTI, states: "We feel that present matter doesn't fall under the ambit of Code of Conduct and procedure of Code of Conduct can't be invoked in present circumstances." The firm said the behaviour in question was neither a criticism of any match or against a player or support staff or match official. "In any case the procedure set by the BCCI constitution will have primacy over procedure set out under Code of Conduct," it said. A senior BCCI official seconded Edulji's view and said that there should be suspension pending inquiry. "It's not just about Code of Conduct but about bringing the institution to disrepute. Just understand that ICC had given maximum sanction of one Test ban to Steve Smith for ball tampering charges as per its code of conduct," he said. "But Cricket Australia banned them for one year for the disrepute they brought to the game. When you look at their crass comments, look at the larger picture," he added. If they are suspended pending inquiry, the legal team has recommended the appointment of an ad hoc Ombudsman, which could well mean more trouble for the duo. With skipper Virat Kohli also distancing himself from the comments, it will now depend on the decision taken by the warring duo of Rai and Edulji based on this legal opinion.